I know- it’s not Friday! What am I thinking doing a weekly summary on Monday? Well, life got a little crazy last week. 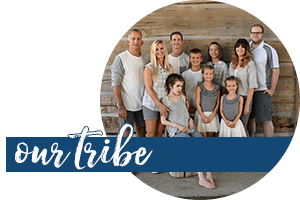 Children had unexpected needs and unanticipated repairs came up. When I was preparing the reading plan for this month, I felt the Spirit telling me to be prepared. Because when you encourage thousands of people to praise God in spite of the enemy, you are sure to encounter spiritual warfare. 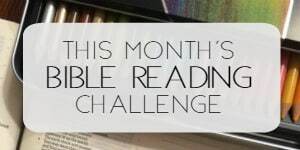 And with that, I knew that in spite of being late, this Bible reading challenge is needed this month. 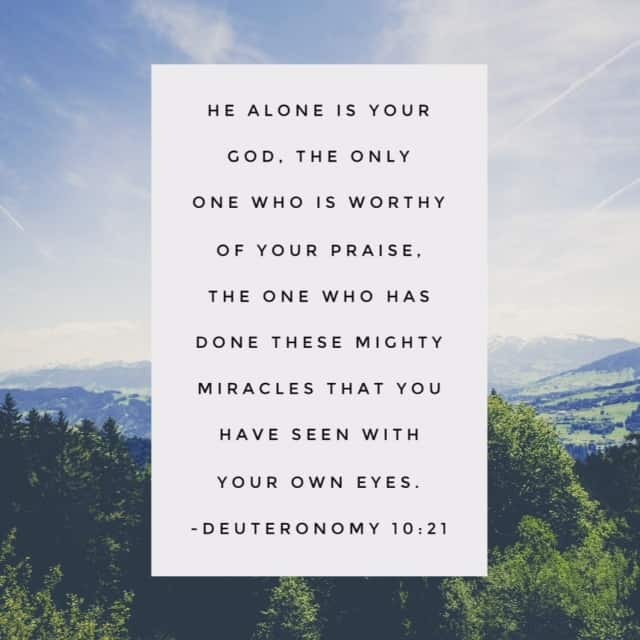 So I’m posting the Praise Him Anyway Bible reading summary week 1 that was due on Friday and giving God the praise for being the Avenger who makes all wrongs right! Check out last week’s reading. Alright, Friends. Keep reading and keep praising! I knew I would be personally challenged by this month’s reading, but I’m determined to press on. Happy Monday and I’ll see you tomorrow! Thank you. I really needed those words of encouragement & challenge today, not Friday. God’s timing is perfect. 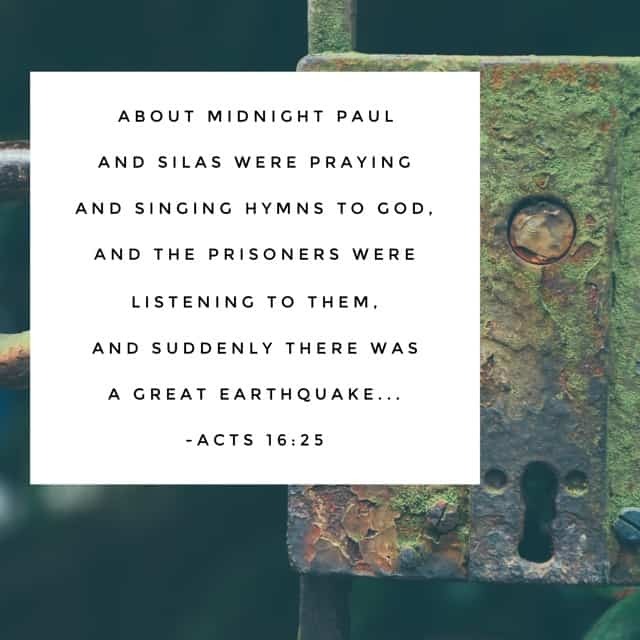 Acts 16:16-40 reminded me the community is watching my reaction to my “chains”….the prisoners were watching, and the community benefited in the results of the praising. Wow! Just what I needed this morning! Thank you Father!! Such Beautiful words of encouragement from Gods word! Thank you for your ministry!! Thank you Rachel for this months plan. 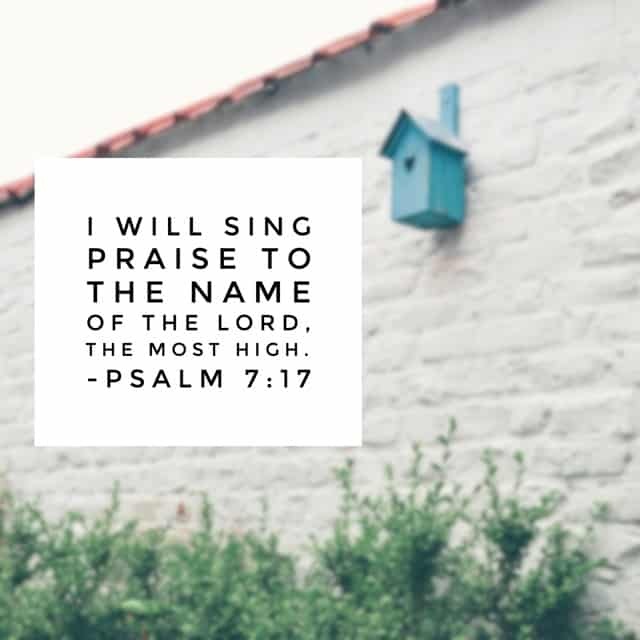 The enemy does attack when we get close to God and praise Him through our trials but we have victory in Christ! Blessings. Thank you, Lord for never giving up on me, even when it feels the entire world has. I can always find comfort in knowing that no matter what……..YOU will always love me, and are faithful to meeting our needs! I love You, with all of my heart, soul, mind and body! 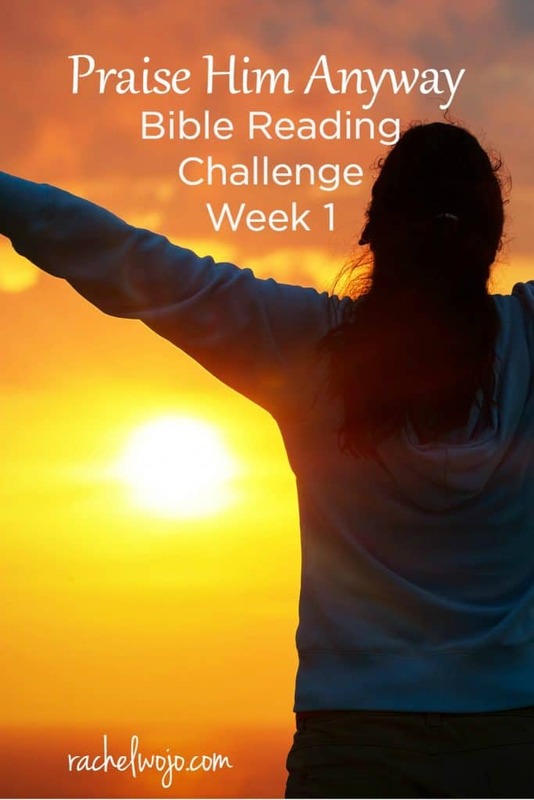 Lifting you up in prayer this week Rachel, love your work and this bible challenge is certainly giving me something to think about this month! 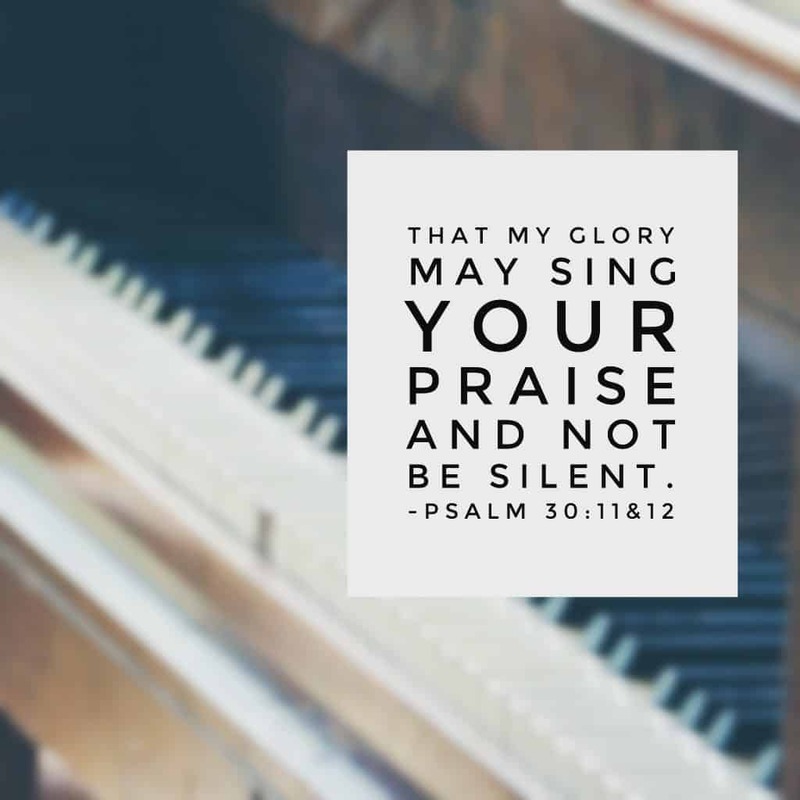 I usually recite Psalm 135:1 with the first emphasis, but this week I tried out saying it with the second emphasis (my son is doing a poetry unit for English, so syllable emphasis is on my mind 🙂 !) it changes the whole tone of the line! Have a great week, God Bless! Thank you, Angie! 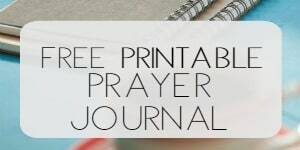 Praying that God leads you to where that birth certificate is!